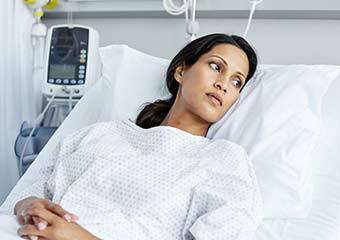 Does serious illness increase the risk of developing PTSD? We wrote about this topic back in 2011. At that time, a study in the Journal of the American Academy of Orthopedic Surgeons reported that 20-51% of patients who suffered musculoskeletal injuries went on to develop PTSD. Another study, from the Journal of Psychosomatic Research, found that 36-45% of the 121 ovarian cancer survivors in their longitudinal study experienced PTSD at some point between the start of their chemotherapy treatments and their 3-month post-treatment follow-up appointment. Overall, that’s a lot of patients developing PTSD after undergoing treatment for illness or injury. Given the amount of time that has gone by, and since this is an important topic for practitioners, I wanted to update you with some new findings. In May 2015, Critical Care Medicine published a metaanalysis conducted by Ann M. Parker, MD and a team from Johns Hopkins School of Medicine. Their survey found that, at 1-year post-hospitalization, PTSD symptoms remained present in 20% of critical care survivors. Parker and her team arrived at this figure after reviewing 40 articles that represented a combined total of 4,260 participants. Articles were screened to include only studies that evaluated adult nonspecific participants, measured PTSD symptoms using a validated instrument at least 1 month post-ICU, and contained at least 10 patients. In another study, also conducted at Johns Hopkins, a team led by Joe Bienvenu, MD looked at co-occurrence between general anxiety, depression, and PTSD symptoms. They looked specifically at co-occurrence at 2-year follow-ups for people who had been treated in the ICU for acute lung injury. Bienvenu and his team assessed participants at 3, 6, 12, and 24-month post ICU treatment, using the Hospital Anxiety and Depression Scale, anxiety and depression subscales, and the Impact of Event Scale-Revised. This study found that more than half of the participants exhibited detectable symptoms in at least one area (general anxiety, depression, or PTSD symptoms) at a 2-year follow-up. A majority of these participants demonstrated co-occurrence of multiple symptoms. You’ll also find this published in the May, 2015 issue of Critical Care Medicine. Now, these studies raise interesting questions I’d like to see investigated further. In particular, I’d be interested in learning whether participants were responding to their experience in the ICU or the life-threatening event that put them there originally (having ovarian cancer, for instance). As a community, we need to be mindful of possible mental health issues resulting from injury, illness, and the medical interventions used to treat them. There may be a substantial group of patients who aren’t receiving the psychological support that they need. What interventions would you suggest to decrease PTSD symptoms for patients undergoing treatment for serious injury or illness? Please leave a comment below. Follow up phone calls after surgery to show concern & continueing care, but not by the surgeon, as they typically aren’t good at this, but by a PA or someone trained to do this and has references if patient needs specific help. I had shoulder surgery 3 weeks ago & had a competent surgeon but was made worse by the on call surgeon when the nerve pain block failed pn the first day. I have had bad experiences with my family’s surgeons also. Also had annoying nurse in pre-op room who lectured me about my supplements list. I had to come up with a way to distract her away from subject to try to calm myself. They should tell you about anesthesia creating retro amnesia as I felt anesthesiologist didn’t do what she told me on phone interview. Also she never called to check on nerve block as paperwork said she would for two days and I needed her help. Thanks for listening! My trust in Jesus Christ and prayer helped me through it the most. This is why Health Psychologists are team members in the best ICU and Critical Care setting and why Rehabilitation Psychologists are part of spinal cord, stroke and amputation teams. Not to mention Neuropsychologists in Head Injury / TBI treatment settings. And on Cancer Units, AIDS Clinics, ER’s, Pain Clinics and Primary Care… The “Will To Live” is real and stress can make anything worse. And severe illness and pain are trauma events, physically and emotionally… Insensitivity to this is rampant in healthcare settings. I used to challenge my 2nd Year Medical Students in the Mind-Body and Health class to tell me a human health condition that did not have a psycho-social component in cause, course or cure. (These days I would say “Psycho-Social-Spiritual”…). If I lost, I would provide lunch in a fancy restaurant. I lost once in 5 years… It is a sucker bet. In the medical reports it is said that the client didn`t experience any traumatic and catastrophic incidents in her life and doesn`t suffer from trauma and PTSD… The psychiatrist told the client that she hasn`t been in a war… and this would be a real trauma… It is just unbelievable and mean!!! The long-lasting consequence of these events is still hugely under-estimated and under-played. It is good to see this article and the wonderful comments, and great to hear that significant research is done on the subject. On the other hand, if trauma was better understood – and there isn’t much to understanding the mechanics and biology of trauma – we would realize that the UN-doing of these post-traumatic injuries is relatively simple and inexpensive, hence education is also key. For example, it is highly recommended that some body-work be carried out 2 to 3 weeks after a full anaesthetic. Trauma Releasing Exercises TRE is the most efficient and quickest way to rid the body of the pent-up tension. If you can find a TRE practitioner well and good. But if you can’t, there is plenty of information on the net, plus you can buy the book or dvd for just a few shillings and start on your own. That’s how great TRE is. Best wishes to all on this page. For prevention: early interventions of brief talk therapy and internal/external resource assessment and supplementation for patients AND family/significant others. The use of medical teams rather than individual providers also increases patient resilience. For treatment: a combination of talk therapy (primarily narrative) and Third Wave interventions (EMDR, Mindfulness-based Stress Reduction, breathing/relaxation, aerobic exercise, yoga), done both individually and with family/significant others to address amygdala activity and to give meaning and understanding to the experience. Resources continue to be assessed and addressed. The patient’s existential beliefs may also be addressed since the trauma of illness has a powerful underlying existential meaning. I have found that it is essential to address this problem from a bio/psycho/social/spiritual framework, particularly since the underying trigger is often chronic rather than acute. It is also very important to include other members of the healthcare team in this work. We need to study those with similar experiences and compare those with PTSD symptoms with those who come out ok. What helps prevent PTSD and/or what seems to protect one from PTSD? I experienced life threatening surgery while traveling in the mid East with a church group 2 years ago, had surgery and to everyone’s surprise, survived. My RN daughter was with me and suffered greatly due to cultural differences in allowing family to be involved. When I returned home I was gravely ill, and fought to have well meaning health professionals and family to allow me to participate in deciding what I needed to recover. I developed PTSD, and due to the fact that I had many years of experience treating people with PTSD I sought the most important help: people who were “present to my suffering”, listeners, and those who continued to relate to me as who I am, not “a very sick person”. I was blessed to have a large network of Therapeutic Touch practitioners who meditated and sent healing thoughts and prayers to me and my daughter, and a wonderful church family. I have strong spiritual beliefs and having people support me in those also worked. Those who helped me maintain and regain my identity with these supports were most important. I have recovered from PTSD. Thank you for bringing this issue to the front. 3yrs ago, I had an stroke, followed by heart procedures, Hurricane Sandy and there’s much more. I was a teacher and professor, but after the neurologist said I was fine and could go back to work, my life took a major turn downward. I went into a deep depression and have PTSD. Luckily, I have a great psychologist, an amazing dharma teacher and friends. But, I haven’t been able to go back to work and Disability has turned me down. This should not be happening. No doctor sent me outside the office for any kind of therapy. This was true after my knee injury. Thank god I have great friends and Im surrounded by caring loving people. It is 3 yrs now, and I’m probably never going to go back into a classroom again. Doctors need to give patients a pathway for success. I speak not only from my area of study, but also as a patient with a chronic illness that has left me in critical care and other medical crisis multiple times. 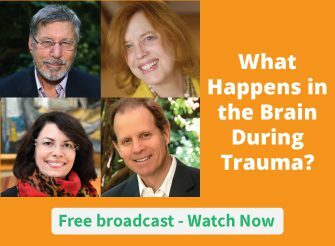 In my experience, it is not only the intense realization of mortality and forced vulnerability, but the medical professionals treatment of patients within that scenario, that determines the measure of trauma. People facing their mortality and/or forced into a state of vulnerability, will often try to find ways to feel they have some control within the situation. Even if it is very small or imagined, it can offer a piece of safety or stability, in an otherwise chaotic time. If the medical professionals disregard their personal control or otherwise, discredit the sense of their own body and experience, it can shift their locus of control from internal to external. If that shift is reinforced repeatedly, there may be a pattern of learned helplessness that arises. This pattern may also begin to build into (or add fuel to an existing – like the initializing accident, injury or illness itself) PTSD syndrome. I think this may also be compounded by the anaesthetic and other powerful medications that make memory consolidation difficult, leaving the body with traumatic memories that can not be worked through the hippocampus, leaving the experience within the amygdala’s parasympathetic state of fight, flight or freeze. Of course, this also complicates the patients ability to fit the experience into their own life narrative, normalizing it and/or creating a sense of meaning. This can leave a discontinuity that can lead to cognitive dissonance and other PTSD symptoms. If at all possible, helping the patient to find some small action they themselves can take; even as small as asking for what they may want or feel they need, and/or helping them to find what allows them to feel some sense of empowerment in an overpowering situation. Because it is the utter sense of helplessness that greatly contributes to being traumatized, anything that keeps them feeling they still have some power will make a difference.